A few years ago I reached a pivotal time in my life. There was a major professional restructuring in my practice, I was going through a divorce and raising my youngest son who was 12 years old at the time. I was concerned about “keeping it all together”. When I took stock of everything, I realized that there were many positives to build on: my practice of 20 years was a “going concern” with many long term and loyal patients, which made it a family practice with a lot of potential; my staff of six who had been in the practice for several years worked well together and had potential to improve organization, function and revenue; and my associates were capable and professional optometrists who had been with me for numerous years. Professionally, my associates and I dealt with all areas of optometry very effectively and I feel our patients were well cared for. However, the business side of optometry is one aspect of our profession for which we have had little, in fact, NO training. This would involve everything from operating a profitable spectacle and contact lens dispensary, to empowering and encouraging people that work with you and for you to increase your business. Promoting yourself professionally and keeping track of everything in an organized fashion are also things that we have not been coached in either. When I attended the introductory seminar with AMI, I realized help was at hand. Probably the best thing they have done for me is to help me analyze my practice in greater detail. The statistics you do weekly do not lie, but give you a clear picture of your performance. The experts at AMI then help you to deal with problems that arise and teach you the steps to achieve financial and professional goals. They also explain executive structure and how to work with and empower the staff so that you can achieve their best performance. You can then help them realize when the practice does well, they will also do well. 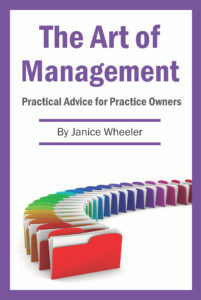 AMI helped me to look at all areas of my practice with respect to management; they helped me work more effectively, save money and achieve my financial goals.